This loan helps to purchase farming inputs such as fertilizers, to boost her maize quality, earn more profit, and elevate her standard of living. 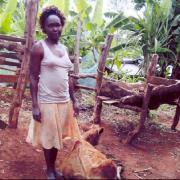 Beautiful, elegant, and enterprising Ruth, pictured above, is from Kitale. 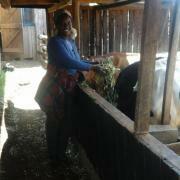 She has been involved in mixed farming for the past few years. 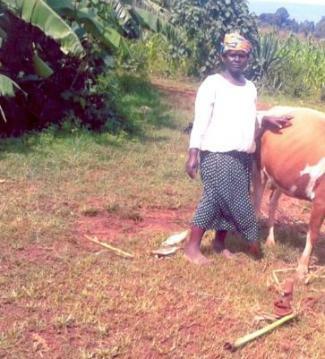 She loves farming, for it's her only way of securing a living for her lovely family. Ruth dreams that, through farming, she'll be able to pull out of poverty and see to it that all her family members succeed. She's visionary and keen to ensure that she keeps progressing. 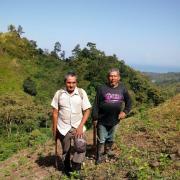 Access to modern, quality farm inputs is the pillar of agricultural revolution. However, in Kenya, a developing country, fertilizers and seeds allocated by the government are far below the needs of farmers. Since Juhudi Kilimo, which is in partnership with Kiva, ventured into the affairs of smallholder farmers in Kenya, farmers can attest that there's been a significant improvement in input availability. 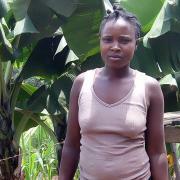 Ruth is seeking a loan to purchase farming inputs such as fertilizers, to boost the quality of her maize, earn more profits, and elevate her standard of living. She plans to use the profits to repay the loan and improve her living conditions. Click that lend button and be a source of hope this season!